The area of family law covers multiple types of legal cases. 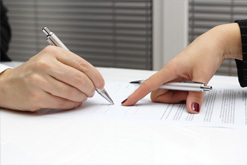 It covers things such as divorce, spousal and child support, prenuptial agreements, and community property. We work hard to ensure a quick resolution to our clients. Our team understands that family legal issues can change your life. Let us work with you to make that change a little easier. Whether your case has been lingering in the legal system for quite some time, or it is brand new, contact us today and let Marshall and his team help you find a solution.